​Need a super quick, last minute addition to give your project that perfect Easter touch? Or, do you just love bunnies? These bunny faces take minutes to make, and use tiny scraps of yarn to create! Finished bunny faces (White and Blue) measure 2.5” high x 2” wide. Pink and Gold faces measure 2” high x 1.5” wide. Gauge is not important to this project! 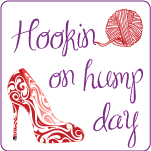 Have fun and experiment with all yarn weights and hook sizes! (Face) Create a Magic Circle, ch 1. Work 1 sc, 1 hdc, 1 dc, 2 trc in ring. Ch 2. Sl st in ring. Ch 2. Work 2 trc, 1 dc, 1 hdc, 1 sc in ring. Sl st in ring. (Ear) Ch 6. Sl st in 2nd ch from hook. Sc in next ch. Hdc in each of the next 3 chs. Sl st in ring. (Ear) Ch 6. Sl st in 2nd ch from hook. Sc in next ch. Hdc in each of the last 3 chs. Sl st in ring. Fasten off, and pull ring tight to close. Use safety eyes, buttons or beads for eyes, or stitch eyes on with yarn needle and contrasting color yarn. Add bows or tiny ribbon roses for embellishment, if desired. Models have 6mm safety eyes (White, Pink), 8mm safety eyes (Blue), and stitched eyes (Gold). I love the bunnys, am making some for m granddaughters. Thank you for all your effort. Google magic circle. Moogly.com has a good tutorial. Is the pattern for both sizes or is there another part that I missed. These are brilliant! Thanks so much.